Place chips on plate. Sprinkle with cheese. Microwave for about 30 seconds or until cheese melts. 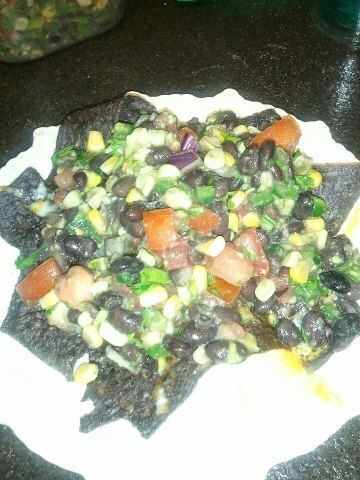 Spoon about 1/2 - 3/4 cups salsa on top of chips and ENJOY!